Joy to the world of crime fiction, Rebus is back with a bang. Standing in Another Man’s Grave is one of the best crime novels of the year, and if you don’t believe me that’s your problem. 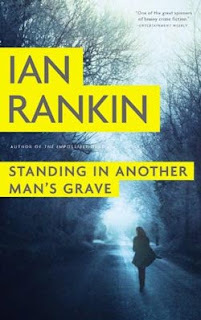 As Ian Rankin came to realize letting one of your favorite heroes go is not an easy thing to do and thank god for that. Rebus, after taking a short break, returns to the pages of his creator and lets him know that it won’t be so easy to get rid of him. What if he works in cold cases as an outsider? What if the unit is about to close? Nothing really matters to Rebus, apart from solving crimes and punishing the perps one way or another. At the beginning of the book he seems a bit lost as he enters a world where he’s spend most of his life, but which now seems alien to him. His protégée Siobhan Clarke now holds a higher position than him and she seems to be going places, unlike him whose life never changes. As he realizes at some point he’s an analog man in a digital world. However analog sometimes is better than digital. Rebus is at his strongest when he’s at his lowest. When everyone is against him he rises up to the challenge and gets things done. And when he’s the target, he’s the one who pulls the trigger first. One of the most interesting things in this book is the co-existence in the same pages of Rebus and Rankin’s latest cop hero, Malcolm Fox. Fox doesn’t like Rebus and he shows it, he’s determined to take him down as soon as possible; but no matter how hard he tries he’s never able to pin anything specific on him. Yes, he does have drinks with a mob boss, whose life he’s saved, every now and then; yes, he does frequent places which he shouldn’t; and yes, he does tend to take the law into his own hands time and again; but he gets results. He may be old school, but he goes where nobody else can. He may drink a lot, but he works more than everyone, despite his age. Fox and Rebus are similar in a way: committed, headstrong, restless, but they cannot see that. When they look at each other they only see yet another enemy, whereas if they were working together they could be friends, despite the fact that Fox doesn’t drink. 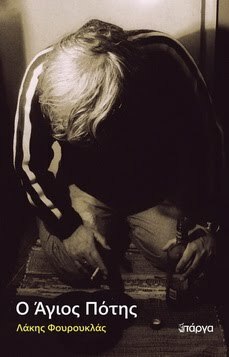 As for the story, it all begins with a murder that Rebus cannot investigate, and the reopening of an old case which he can. A woman shows up at the unit claiming that her daughter’s disappearance many years ago is connected with those of some other young women. Rebus decides to take a look at the file and he sooner rather than later realizes that the woman had a point. All the women disappeared in the same area and they’ve never been seen ever since. So he starts investigating. And the more he investigates, the more clues he brings to light, and the more enemies he makes. He’s no angel, everyone knows that, but when he’s on the hunt he’ll do anything to get his man. He doesn’t care about department politics, public relations, and keeping up pretenses with colleagues, and that’s his curse, and that’s his blessing. Siobhan knows that where everyone else fails Rebus succeeds, so despite the fact that working with him could put her career in jeopardy at the end she decides to give him a helping hand. He’ll do all the leg work, and she’ll be there when the need arises. If not for any reason because she likes him; she likes the fact that he wants to bring justice to the victims no matter what; and he does make her smile. Well, all in all I’d say that this is one of the best Rebus novels yet. The good detective came back from his break stronger and hungry for action. What a character! Really, what a character! Thumbs up, Mr. Rankin.